I'll be leaving for a short getaway to Bangkok in a few hours! I'll be back on Wednesday, so all emails and orders will be attended to then. Also, thank you for all who have participated in the previous giveaway, really enjoyed reading through the proposal stories! Results for the winner are in. Please email me at buzz@aiclay.com to receive your prize - a Free Worldwide Shipping Coupon. Hope to see more people joining in the next giveaway, there will be more to come! 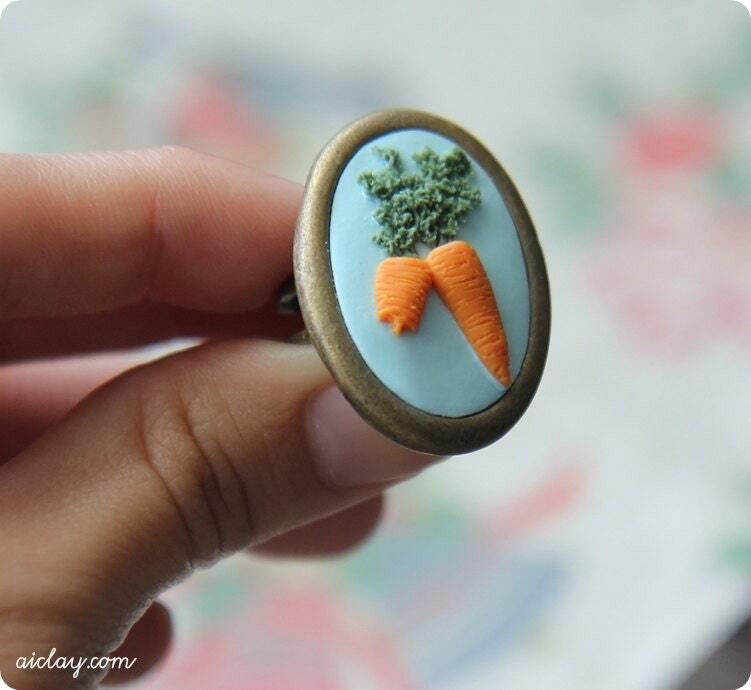 Leaving you guys with another photo of the carrot ring. Also, I'll be updating my Instagram regularly with snapshots of my trip. My username is joceaiwei, feel free to follow me!